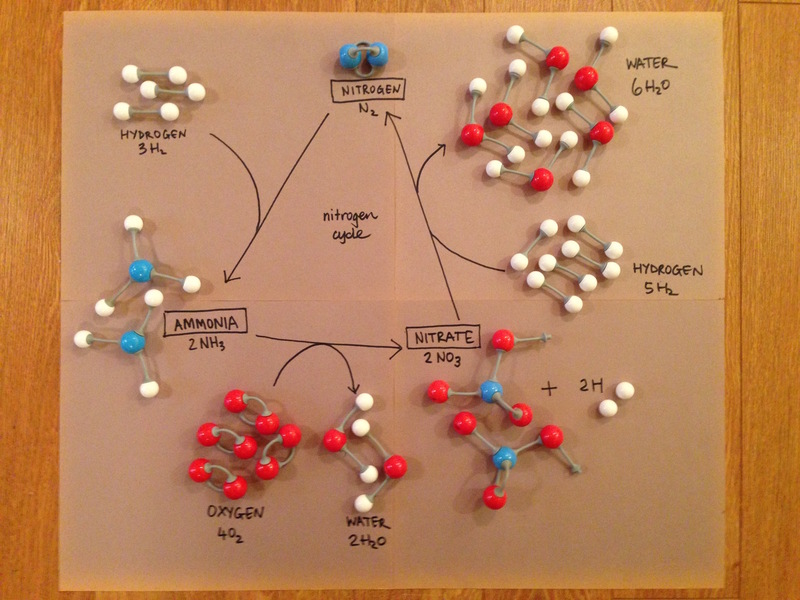 Use molecule models to show a simplified version of the nitrogen cycle. This activity needs a reworking. Start with the N2 molecule. Then give students the atoms needed to move around the cycle. 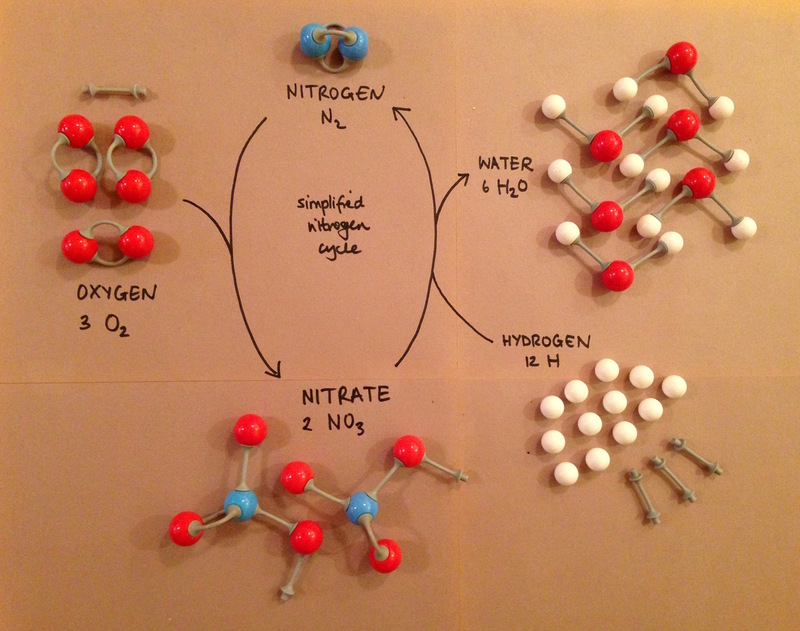 Give them clues each step to aid in model building: they might make two identical molecules, or that they should make a water molecule first, then use the remaining atoms to make the molecule with nitrogen in from the remaining atoms and bonds. Plants need nitrogen but are not able to use the nitrogen in the air. They rely on bacteria to catch it. Bacteria in the soil, and some specialized bacteria that live in the roots of some plants can “fix” the N2 to make NH3 (and also NH4), which can be taken up by plants. In the soil extra ammonia is converted to another molecule, nitrate, by bacteria when there is oxygen around. 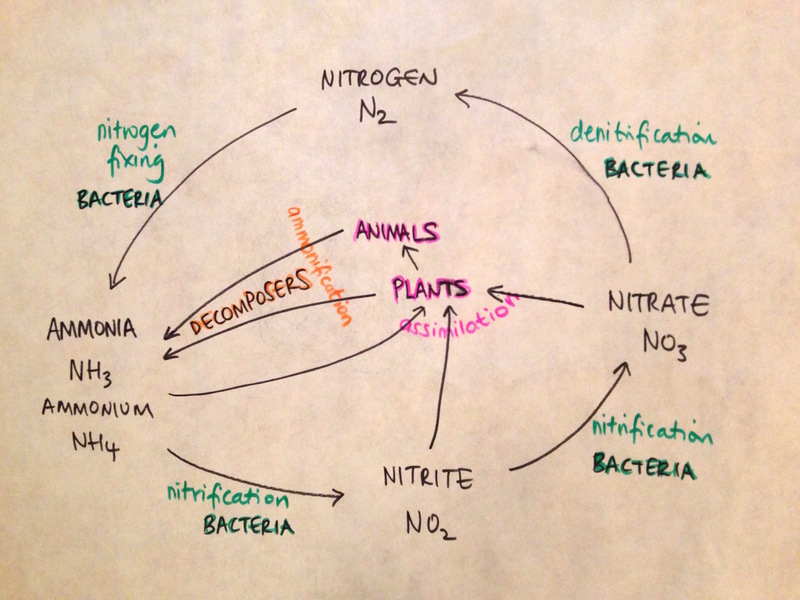 Nitrate is converted to nitrogen gas again, by bacteria. More H is used. A simplified (and incorrect) version done at Gordon. Need to rework in this form - but very complex.